Autonomous Data Warehouse is LIVE! That’s right: Autonomous Data Warehouse Cloud is LIVE and available in the Oracle Cloud. We had a major launch event on Thursday last week at the Oracle Conference center in Redwood Shores which got a huge amount of press coverage. 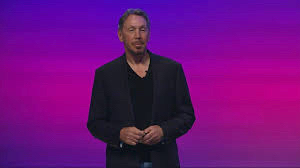 Larry Ellison delivered the main keynote covering how our next-generation cloud service is built on the self-driving Oracle Autonomous Database technology which leverages machine learning to deliver unprecedented performance, reliability and ease of deployment for data warehouses. As an autonomous cloud service, it eliminates error-prone manual management tasks and, most importantly for a lot readers of this blog, frees up DBA resources, which can now be applied to implementing more strategic business projects. Ease of Use: Unlike traditional cloud services with complex, manual configurations that require a database expert to specify data distribution keys and sort keys, build indexes, reorganize data or adjust compression, Oracle Autonomous Data Warehouse Cloud is a simple "load and go" service. Users specify tables, load data and then run their workloads in a matter of seconds-no manual tuning is needed. To highlight these three unique aspects of Autonomous Data Warehouse Cloud the launch included a live, on-stage demo of ADWC and Oracle Analytics Cloud. If you have never seen a new data warehouse delivered in seconds rather than days then pay careful attention to the demo video below where George Lumpkin creates a new fully autonomous data warehouse with a few mouse clicks and then starts to query one of the sample schemas, shipped with ADWC, using OAC. 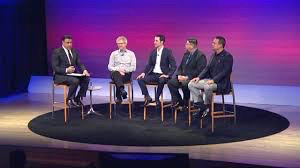 Probably the most important section was the panel discussion with a handful of our early adopter customers which was hosted by Steve Daheb, Senior Vice President, Oracle Cloud. As always. it’s great to hear customers talk about how the simplicity and speed of ADWC are bringing about significant changes to the way our customers think about their data. Video: Larry Ellison, CTO and Executive Chairman, Oracle, introduces Oracle Autonomous Database Cloud. Oracle Autonomous Database Cloud eliminates complexity and human error, helping to ensure higher reliability, security, and efficiency at the lowest cost. 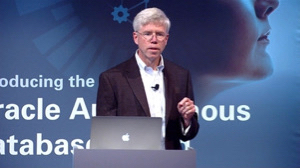 Video: George Lumpkin, Vice President of Product Management, Oracle, demonstrates the self-driving, self-securing, and self-repairing capabilities of Oracle Autonomous Data Warehouse Cloud. Yes you can! We have a great program that let's you get started with Oracle Cloud for free with $300 in free credits. Using your credits (which will probably last you around 30 days depending on how you configure your ADWC)you will be able to get valuable hands-on time to try loading some your own workloads and testing integration with our other cloud services such as Analytics Cloud and Data Integration Cloud. Are there any tutorials to help me get started? Yes it is! The documentation set for ADWC is right here and the documentation set for Oracle Machine Learning is right here. Yes there is! 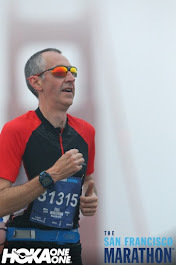 Over the next few weeks I will be posting links to more videos where our ADWC customers will take about their experiences of using ADWC during the last couple of months. There will be information about some deep-dive online tutorials that you can use as part of your free $300 trial along with lots of other topics that re too numerous to list.